An Apple fan in China has created what could be the most unique tribute to Steve Jobs seen yet after he designed and developed a new logo for his iPhone. 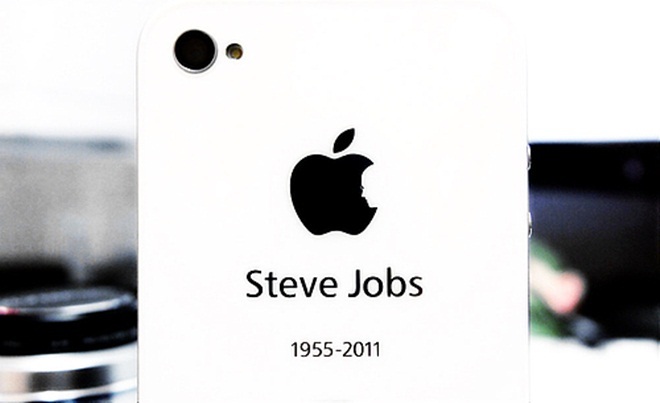 As the photo – highlighted by MIC Gadget – shows, the man has revised the Apple logo, which includes the silhouette of Jobs’ head, and added the years of the former Apple CEO’s life, 1955-2011. This logo was in fact designed by a Chinese Apple fan, and this latest use of it demonstrates the admiration that so many in the country have for both Jobs and Apple products. Like so many unofficial Apple spin-offs in China, the design looks genuine and it seems like the kind of tribute that many iPhone and Apple users would like to have on their devices. Apple continues to grow stronger in China. As we reported yesterday, a new survey found the iPhone to be China’s most desired smartphone, after Apple knocked Nokia from the top spot. China Mobile leads the way in the country, despite not being an Apple partner – although the two are working on an arrangement – the telecom giant has 10 million iPhone users on its network. While the Apple brand is huge in the country, its latest device, the iPhone 4S, is not yet available to Chinese fans who will have to wait to get their hands on the phone.